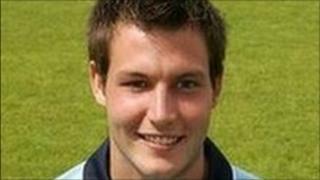 Rushden and Diamonds goalkeeper Dale Roberts has died at the age of 24, the club has announced. It has yet to be revealed how the former Nottingham Forest player died. In a statement on the Rushden and Diamonds' website, chairman Gary Calder said: "Our thoughts and prayers at this time go to his parents, family and friends." The FA Trophy second round replay game against Eastwood Town, which was due to take place on Tuesday, was postponed. Roberts joined Diamonds from Forest in January 2009 and was an England C international.